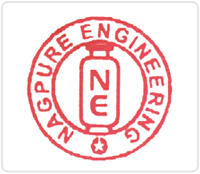 Incepted in the year 2005, Nagpure Engineering company involved in manufacturing and supplying a wide range of precision engineered water and waste water treatment plants. We are well-equipped with all latest purification machinery in our integrated manufacturing plant to meet the quality standards, deliveries with ever-increasing demand. Elective Solutions is as compelling as managing the graphic designing aspect of a print artwork or a web advertisement for your organization, as it can be extended to all kinds of marketing related graphic design services or campaigns. It is easy to be swept away, envisioning the impact it will have on your target audiences. And the attractive effort of bringing that piece or web design to life is usually a welcome change from strategic and administrative work. One of the first things that you need to do when starting a business is design a company logo to represent your company. Contrary to the general assumption, this is not an easy task to achieve. Creative graphic designing is a logical attempt at reflecting some abstract company ideas and values visually. At Elective Solutions Consult, our graphic designers first identify the reason behind a design and its purpose before giving life to it. Our creations are logical and original as we dedicate enough time researching and analyzing you to offer a visual expression to your voice. We have a design process that is a purely logical and concentrated effort, encompassing the important elements of imagination, visualization, creative direction and graphic design analyses. We have developed an IT solution for Eye Hospital Management System in order to overcome drawbacks of traditional Hospital Management System. As we well known that Management system is usually referring to Operations, that’s why we Create a centralized system that manage, analyzed, take care of our transaction and provides output in the format of report that are very easy to understand to a common person with little knowledge. We developed an application (Software) to manage all activities of stored department, pronounced as “Eye Hospital Management System”. This application is capable to track each and every transaction that needed to store and manage Patients Records. Through profound industry understanding, professional approach and state-of-the-art techniques, web designers at TIS India help global clients in making acquainted and eye-catching custom website designs in order to increase website's conversion rate. Our website design services are planned to deliver end-to-end and affordable website designing techniques from the beginning till the implementation with complete focus on increasing income and improving business performance. Our ground-breaking web design services at affordable prices help organizations across the globe in building innovative and business oriented websites since many years. Our web designing services consist of everything from a common website designing to corporate or e-commerce web designing to the most complex Custom Web page designing, Psd To Xhtml, Tableless Div Based Pages, Web 2.0, production Based Designs and Website Redesigning. Apart from being user friendly, all websites are W3C validated, easy to load and extremely functional. multimedia content services over any broadband or IP-centric network. Such a framework can be outsourced by service providers globally, who desire to offer next generation services to their customers. INFONET has engaged the best-in-class technology partners to build the required capability frameworks. Innovation is our driving force and we create environment for the young talent in our company to conceive and incubate new ideas in order to develop and deliver useful services and solutions for our customers, thereby sustaining our competitive advantages. INFONET was founded in mid 2009 by veterans from the telecom industry, who have built some of the largest networks in India for mobile, enterprise, broadband and DTH services. INFONET is adequately funded by top-end global investors and is committed to comply with the highest standards of corporate governance. Elective Solutions is a full service Web designing company providing services for corporate or individuals interested in designing their design and development needs of web based projects. Based in India, we are pioneer in providing total offshore and onshore web based and stand alone solutions for small to large enterprises. We deliver high quality solutions and services through our motivated and qualified team which is focused on exceeding clients' expectations every time. Elective Solutions is full service web designing company that has executed many projects in cutting edge web technologies for clients in India, & other continents. We also specializes in database technologies and provide database support services for clients in India . Elective Solutions various web based services Moreover, We always gives flexible low cost workforce. So, If you are looking for professional web designers or expert developers and reliable offshore development company then Elective Solutions can help you in these areas. As, we provide you with quality programmers, developers, Content Writers, Web Designers, Graphic designers and other highly qualified professionals in most of the popular platforms. Elective solutions is a leading web designing company in NAGPUR (Maharashtra) of Nagpur, providing best quality, cost effective, web site design, maintenance, web application and desktop application development services to clients in Nagpur, UK, Canada, Australia and other parts of the world. We are a team of experienced professionals who work closely with the clients, understandtheir requirements, offer suggestions and implement ideas into reality. Our expertise in dealing with clients remotely and efficient before / after sales services have won us a long list of satisfied clients.